The Somalia-Somaliland Talks: A Crossroads Or A Dead End? Somalis are anxious to dust off their tarnished name, which has been associated with countless ills. So far the financial and political efforts paid to bring about a “Somali Republic” from the ruins we have all lived through for the last two generations have not yielded better results. The optimism is still alive though. However, will resumed Somaliland-Somalia talks, scheduled to take place some time in 2018, be a great stride towards bringing an era of darkness to an end? The question of how the talks began dates back to early 2012 when the London Conference on Somalia, held at Lancaster House on 23 February resulted in a communiqué. This document raised “the need for the international community to support any dialogue that Somaliland and Somalia” may concur to define their future collaboration. Since then, nine rounds of talks have been held away from Somali soil. Sadly, none of the negotiations has brought about any considerable change on the course, let alone respecting the essential agreements such as the control and management of Somali airspace. It is thus apparent that the talks were neither inclusive nor comprehensive. Critics believe that the drive for the dialogue did not come from Somalis themselves. Like previous reconciliation meetings, the endeavour was engineered outside of Somali circles. Thus they lacked the ownership from the onset, and as such, it is believed, that the political architect did not reflect the fundamental priorities on the ground. As a result, both sides accepted the proposals not merely to solve their differences but rather to please the “big” donors, whose interest in this process is not obvious. It is time Somaliland should put up its cake for sale to the world. This is the statement the ordinary Somaliland citizens will tell you based on the assertion that Somaliland’s state apparatus is complete. They claim the constitutional referendum, and “one-man-one-vote” polls were peacefully conducted and, consequently, three presidents have been elected via ballots. Somaliland’s democratic credentials, nevertheless, go far further than a presidential election – the whole set up of the legislative and executive, the capability to model culturally evolved structures with Western-style voting is not heralded anywhere near enough. The development of accountability frameworks moving beyond superficial voting where elites manipulate information is a key achievement itself. It is also known for its good record of observing the rule of law and accepting international codes of practice. Unfortunately, the international community has not paid attention to Somaliland’s remarkable home-grown accomplishments other than a polite diplomatic nod. With this background in mind, many Somalilanders have little or no knowledge of what is on the table. What triggered the sudden shift of Somaliland foreign policy towards holding talks with a Somali government that does not have legal representation and full control over Somalia, when in fact the political context in Somalia is still a failed state, rings an alarm bell. The Somaliland public is worried whether their cause for self-determination will be undermined as with the former union in 1960 when elites made deals for themselves without due reference back to the people. The result, as before, Somaliland will fall into traps without prior consensus and proper groundwork. The opponents can translate the recent conversion as “Somaliland’s commitment to independence” is revocable. If so, then it materialises that the final course of the talks will be pre-determined on the concept that it could result either in a mutually satisfactory form of merger or an agreeable divorce. Somaliland’s quest for an independent state is a slap in the face of the Federal Government of Somalia. Mogadishu administrations, as they have repetitively contended, are not ready to open a Pandora’s Box and the conviction that they hold the Somali unity at heart remains the “most divisive and emotive” dimension of the talks. What is Somali unity? A return to the chasing of the five points on the star of the flag? The government undoubtedly claims sovereignty over the entire territory of the former Somali Republic, including Somaliland. It is false consciousness, which might bring matters to a head. Their foot-dragging reactions on the talks are meant to spoil the diplomatic atmosphere and fail the entire process. Neither side has given the talks the essential weight they deserved. Their lack of sincerity and seriousness made the past negotiations bear no fruits. Although it is understood they are both struggling with the economic and political predicaments at the moment, the Federal Government of Somalia does not appear to have any particular enthusiasm for the talks as the security challenges have overwhelmed them. The political setting in the Horn of Africa may also be not conducive to successful talks. “Somali Unity” is an issue of a political sensitivity, which, it is presumed, the neighbouring countries will not be candid about given the historical implications this has had in the Horn of Africa. Some critics consider that keeping the status quo could serve as a temporary solution till the political dust settles. As such or because of the fact, the notion of the talks between Mogadishu and Hargeisa offers a cursorily reasonable method of addressing the question of Somali Unity. In practice, Somalia will talk the talk but will not walk the walk. Somaliland, on the other side, is unwilling to commit itself to such political risk because they are unsure of the integrity of their negotiating partners. Nonetheless, both sides have no audacity to face each other, except possibly to demonstrate the futility of dialogue. 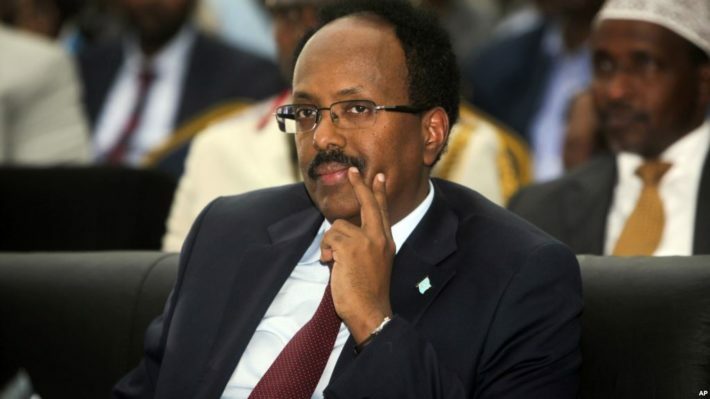 For a meaningful conclusion to be reached it is proposed the new leadership in Somaliland and Somalia, Presidents Musa Bihi and Farmajo respectively, must be genuine about the talks and put their diplomatic egos in the background. A neutral third party, who has no stake in the procedure, should be invited by both sides to make sure the talks are fruitful. *Abdikadir Dayib Askar is Chevening Scholar from Somaliland pursuing an MA in Conflict, Governance and Development at the University of York. **The views of the above article are those of the author and do not necessarily reflect the views of Africa Speaks 4 Africa or its editorial team. Is Kenya’s Pinnacle Tower Africa’s Tallest Building?